Right before we left for the wedding, I received an opportunity to check out Plated, a pre-portioned meal delivery service with fresh ingredients which arrive at your doorstep. The timing couldn't be any better since I knew we had to throw away pretty much everything in our fridge before we left for the trip. The last thing I wanted to do was come home after 3 weeks and go grocery shopping. The process was simple, I chose my Plated delivery date for the Saturday we returned home, selected which two dishes we wanted to try out! We were able to choose from seafood, meat and vegetarian dishes. 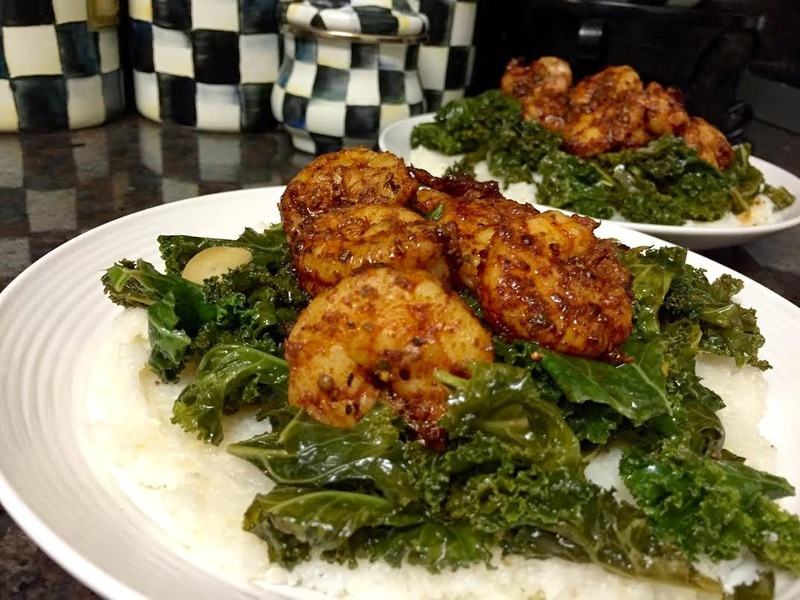 The two we selected were Cajun Shrimp and Grits with Braised Kale; Steak au Poivre with Spinach Potato Gratin. Both dishes paid honor to our recent life events, the Shrimp and Grits for the wedding in New Orleans and the Steak au Poivre for our Europe honeymoon. We arrived back from the honeymoon with the box waiting for us. I was too jet lagged to think about cooking that night so I saved the items for Sunday and Monday night. I truly enjoyed cooking both dishes and loved that everything from the fresh spices to liquid ingredients were clearly labeled. The only items I had to use of my own were salt, pepper and olive oil. This dish was super easy to execute and full of flavor. I LOVED the addition of Kale and while it took a little bit of encouragement for Gabe to try it, he ended up liking Kale. The dish took 30 total minutes to make and the instructions were super easy to follow. Cooking Tip - Stirring grits constantly prevents them from cooking too quickly or clumping up. This dish took a little more time to prepare since I had to thinly slice 6 small white potatoes and blanch them. My sauce also split, which didn't affect the taste but didn't look too pretty on the presentation. The dish itself was delicious. I loved the gratin and that it hid spinach (although Gabe called it the green stuff). Cooking Tip Don't have a baking dish handy? Bake the gratin divided in ramekins or even in a muffin tin. I would absolutely use Plated again in the future. It was so convenient coming home to fresh groceries ready for me to cook. I see many Plated meals in our future, especially on those weeks we come home from Travel. 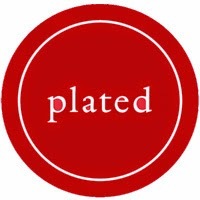 Right now, Plated is extending a great deal to my readers! As of publication date, they are offering 4 free dishes for new members. All you do is pay the $20 shipping. This is a limited time offer so make sure you Click here to sign up today. The deal may change based on demand so make sure you take advantage of this and let me know what meals you select! I've never heard of Plated! It looks delicious! Especially compared to a lot of other pre-ordered meals! Thanks so much for sharing!